Pilgrim Scribblings: Receptive To Misery? 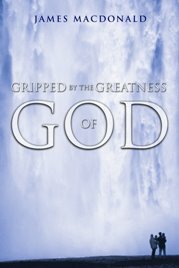 Early this morning (or late last night) I read the following quote by A. W. Tozer in James MacDonald's latest book, "GRIPPED BY THE GREATNESS OF GOD", published by Moody Press. "What peace it brings to the Christian's heart to realize that our heavenly Father never differs with Himself. In coming to Him at any time we need not wonder whether we shall find Him in a receptive mood. He is always receptive to misery and need, as well as to love and faith. He does not keep office hours nor set aside periods when He will see no one. Neither does He change His mind about anything. Today, this moment, He feels toward His creatures, toward babies, toward the sick, the fallen, the sinful, exactly as He did when He sent His only begotten Son into the world to die for mankind." What comforting thoughts to fall asleep with!